The fabulous paintings of Rodney Hardee, a folk artist whose painting is folksy but elegant, is the featured artist at the Bruton Memorial Library in Plant City during the month of October. Each month the library features the artwork of local artists. Hardee paints many images including cats, other animals and religious images such as that of Adam and Eve. Hardee’s paintings are sharp and geometrically defined. Hardee is a self-taught artist. He started painting when he was a teen back in 1973. The story goes that he had admired some farm scenes that he saw in an antique shop in Lakeland. Because he could not afford to buy them, he decided to try and paint his own scenes. Hardee is a loved and well-respected folk artist whose work has been exhibited in a number of different venues. Hardee dates each of his original creations. In addition, he writes a little comment almost like a handwritten note. In the note, he gives progress of his paintings. 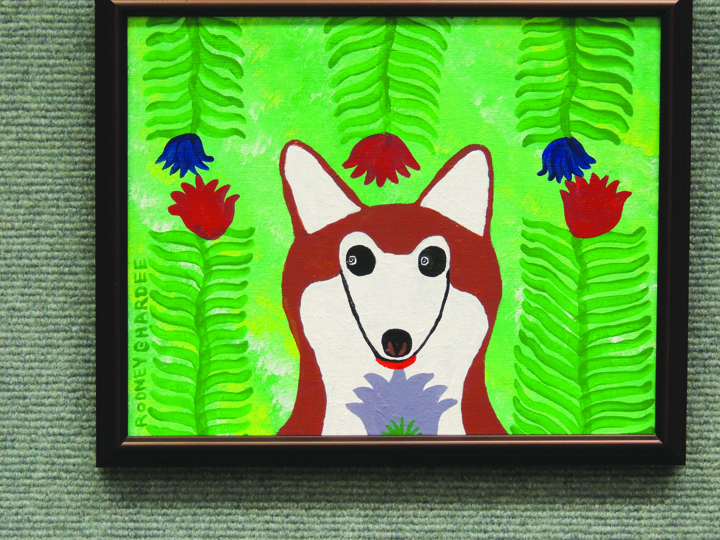 The current exhibit at the Bruton Memorial Library features nine of Hardee’s original artwork. Each piece is creative and captivating. Visitors to the library will delight in his whimsical, vivid and highly creative images. Hardee will be at the Bruton Memorial Library on Sunday, October 27 from 1 to 3 p.m. You can come to the library and meet Hardee. He will be available to explain his art and his process. The Bruton Memorial Library is located at 302 W. McLendon St. in historic downtown Plant City. For more information, please call 757-9215. Previous articlePlant City Entertainment’s Fall Production Will Be Parallel Lives!